Seeing your Courant is a Paper which (like the Primitive Christians) begins to be every where spoken against, It is our humble Opinion that it is high Time for you to think of some Method wherein to carry it on without ministring just occasion of Offence to any, especially to the polite and pious People, of whom there are considerable numbers in this Land. 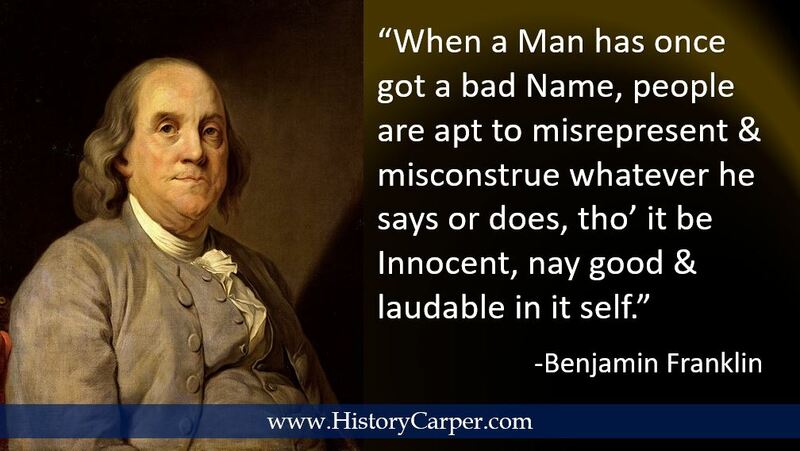 It is a common saying; that it is a bad thing to have a Bad Name; when a Man has once got a bad Name, people are apt to misrepresent, and misconstrue whatever he says or does, tho’ it be Innocent, nay, good and laudable in it self, and tho’ it proceed from a good Intention, which is absolutely necessary to denominate any Action Good. Hence it is that so many good people, have entertain’d strong prejudices against your Courant, because, say they, there can no good thing come out of that Paper; let a Discourse be ever so good, instructive, and Edifying in it self, and strengthen’d by many Texts of Scripture, and quotations from the Works of the most Eminent Divines, who have great Names in all the Universities of Europe; — yet, they say, it is base and vile, and has a wicked Tendency, it is written with a bad intention, with a design to mock and deride Religion, and the serious, consciencious professors of it. Now, tho’ we are of Opinion that this matter has been strain’d a little too far, by persons whose Zeal is not sufficiently poiz’d with Knowledge and Prudence, yet, it may be very proper to lay before you some Rules, which if duly observ’d will render your Paper not only inoffensive, but pleasant and agreeable. Our present purpose therefore is, to suggest several things to you by way of Direction, which may conduce to so desireable an end. 1. In the first place then, Whatever you do, be very tender of the Religion of the Country, which you were brought up in and Profess. The Honour of Religion ought ever to ly near our Hearts; nor should any thing grieve us so much as to see That reflected on, and brought into contempt. Religion is our safety and security, and if we lose the Honour of that, no small part of our strength and Glory will be lost with it. 2. Take great care that you do not cast injurious Reflections on the Reverend and Faithful Ministers of the Gospel, or any of them. We think New-England may boast of almost an unparallel’d Happiness in its MINISTERS; take them in general, there is scarce a more Candid, Learned, Pious and Laborious Set of Men under Heaven. But tho’ they are the Best of Men, yet they are but Men at the best, and by consequence subject to like Frailties and Passions as other Men; And when we hear of the Imprudencies of any of them, we should cover them with the mantle of Love and Charity, and not profanely expose and Aggravate them. Charity covers a multitude of Sins. Besides, when you abuse the Clergy you do not consult your own Interest, for you may be sure they will improve their influence to the uttermost, to suppress your Paper. 3. Be very careful of the reputation of the People of this Land in general. Indeed, it must be confess’d that there is a visible Declension and Apostacy among us, from the good ways of our Fore-Fathers, but yet we hope there is a great number of serious Christians, many more then Seven Thousand who have not bowed the Knee to the Image of Baal: And therefore you ought to take great care that you are not too general in your reflections. Here it may be you will say, there has been more said and printed in some Sermons on this Head, than ever you published. To this we Answer, that there are many things good and proper in the Pulpit, which would be vile and wicked in a Courant. And what if all men are not moulded according to your Humour? must you presently stigmatize them as Knaves and Hypocrites? Certainly on no Account whatsoever. 4. By no means cast any Reflections on the Civil Government, under the Care and Protection of which you live. Blessed be God, we sit under the Administration of Wise and Good Rulers; let us prize them and be thankful for them. But if you will be so Fool-hardy as to cast scurrilous and unjust Reflections on them, we think you ought to smart for it without any pity: And here we would caution you to avoid with care those Rocks, on which you have once and again almost suffered Shipwrack. Furthermore, when you abuse and villify Rulers, you do in some sense resist a Divine Ordinance, and he that resisteth shall receive to himself Damnation. Princes, Magistrates, and Grandees, can by no means endure their Conduct should be scann’d by the meanest of their Subjects; and such may justly be offended when private Men, of as private parts, presume to intermeddle with their Arcana, and fault their Administration. 5. We advise you to avoid Quotations from prophane and scandalous Authors, which will be but like so many dead Flies in your Courant; And in particular, we think it by no means proper to Introduce your Speculations with Lines out of Butler’s Hudibras, for he was no Pious Author, but a profane Wit, who set himself up to Burlesque the Brethren and Lampoon the Saints that liv’d in his Time. On the other hand, we think it very unsuitable to bring in Texts of Sacred Scripture into your Paper, (unless on extraordinary Occasions) for hereby Men lose that Reverence & Veneration which is due to the Divine Oracles, nay, sometimes they come to be profanely droll’d on in Taverns and Coffee-Houses, which ought not to be. 6. In writing your Courants, we advise you carefully to avoid the Form and Method of Sermons, for that is vile and impious in such a Paper as yours. Here, perhaps you will say, you do not set up for a Preacher; to which we Answer, that to print your Paper Sermon-wise is as bad as if you preach’d. And besides, for a private Man to Exhort and Admonish in such a method, is boldly to invade the Province of others, and comes little short of a Corah-like Usurpation. Nor is it suitable, as we conceive, to fill your Paper with Religious Exhortations of any kind; or to conclude your Letters with the words of the Psalmist, or any other sacred writer. 7. Be very general in your Writings, and when you condemn any Vice, do not point out particular Persons; for that has offended many Good People, and may occasion great disturbances in Families and Neighbourhoods. 8. And Lastly, BEWARE of casting dirty Reflections on that worthy Society ofGentlemen, scoffingly call’d, The CANVAS CLUB. Truly, they are Gentlemen of as good Credit and Reputation as any we have; and some of them are Men of Power and Influence, and (if you offend them) may contribute not a little to the crushing of your Paper. Thus we have offered you some plain Directions, which if you wisely follow, we doubt not but you will steer clear of Rocks, Shelves and Quick-sands; This will render your Performances at once both pleasant and profitable, even to Persons of the most Different Apprehensions among us, and your own Innocence and Vertue will protect and secure you in so good a Work.